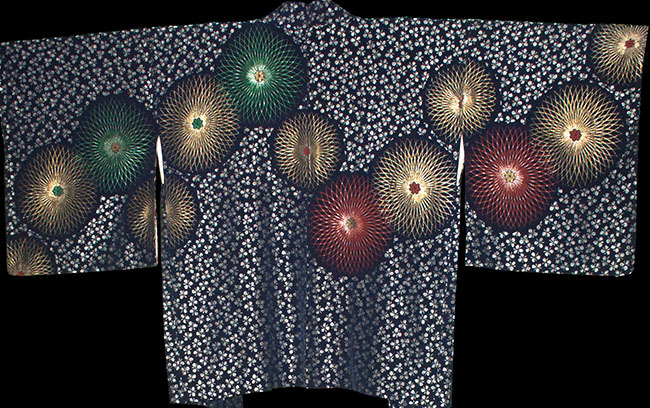 Kimoyes item: 22164 - Stunning deep blue silk with woven blossoms all over in metallic silver. Stunning deep blue silk with woven blossoms all over in metallic silver. 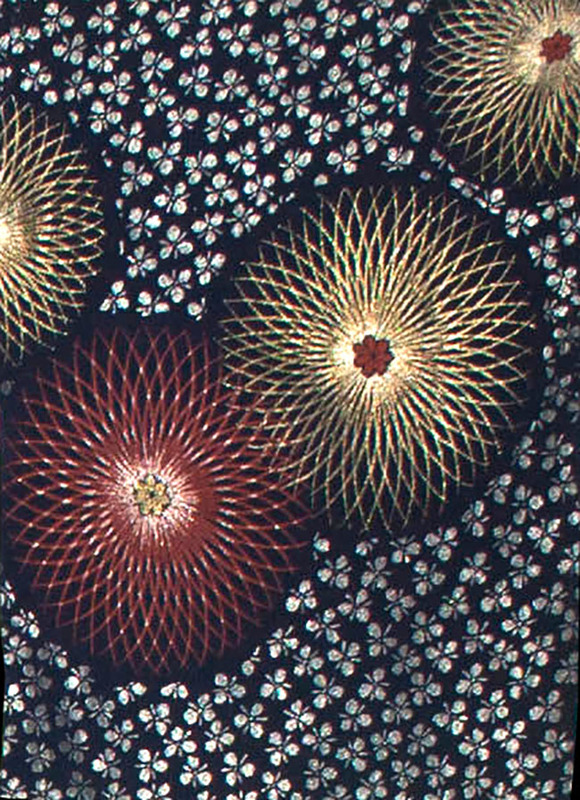 The back and sleeves have large woven chrysanthemums in metallic gold, green and red. The silk lining is a cream silk with woven flowers and it is finished with elaborately woven pink and cream ties. 30 inches long and 50 inches from sleeve edge to sleeve edge. 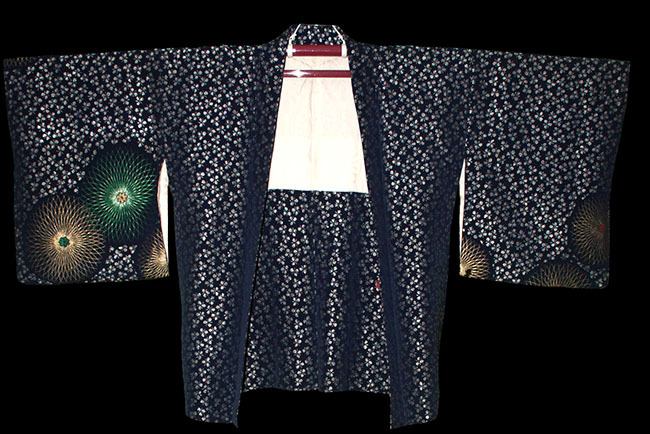 The length of this haori is shorter than average.